Give your loved ones independence while you gain peace of mind. 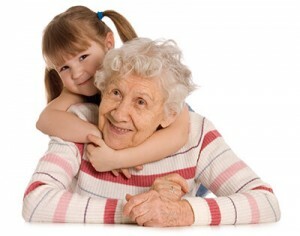 We offer several wellness solutions that help your elderly family members stay comfortable at home longer. Know when your parent has gotten out of bed? Receive a notification if your grandmother has missed her pill? Track that your dad is eating regularly? Control Grandpa’s door locks remotely, in case of an emergency? Various non-intrusive sensors work together to provide you and your family with a custom safety net that fits your needs. Sensors can be placed under the mattress, in the fridge, on the pillbox, and in high traffic areas like the hallway, kitchen or living room – virtually anywhere, so you can monitor any activity. When abnormal activity is detected, the designated people will be contacted. For example, if your loved one has slept in too late, may have fallen, or missed their dose for the day, you’ll receive an alert to your smartphone so that you can check in. This user-friendly technology also lets you to monitor activities via a secure, online portal. Plus, your dashboard keeps track of behaviours, and over time you will be able to see if your loved one is doing a certain activity above or below average. In addition to the benefit of allowing your elderly family member to live at home longer, opting for our wellness solution can also pay for itself, as early alerts can prevent injuries that lead to long hospital stays. Plus, staying out of full-time care facilities for several more years can save families thousands of dollars. We have a variety of options available and would be happy to answer any of your questions.